In 1769, James Bruce, returning from Upper Egypt, brought The Codex Brucianus to England and bequeathed it to the Bodleian Library. It contained several Gnostic works, written in Coptic, dating from about the 6th century ad, but the original Greek texts from which they came are probably much older. Part of this collection, "The Untitled Apocalypse", is translated in this book and has been dated around the 2nd century ad, the time of Basilides and Valentinus. It lays out the early Gnostic teachings in esoteric symbolism designed to work upon the initiate's inner experience rather than being worked upon with the rational mind. Its imagery fosters contemplation intended to prepare a candidate for the Baptism of the Light in which union with the indwelling spark of the divine occurs. 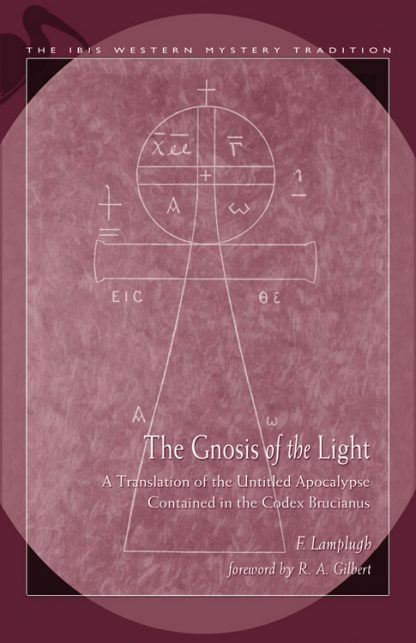 F. Lamplugh includes notes that clarify the text and his introduction gives an overview of the Gnostic beliefs. R.A. Gilbert's preface examines the history of this work and its relevance for us today. F. Lamplugh translated this text from Amelineau's French version, which appeared in 1892. He was praised for presenting an English version that reflected the spiritual aspects of Gnosticism. Both he and Charlotte Baynes (who produced the definitive English version in 1933) acknowledged their debt to G.R.S. Mead.